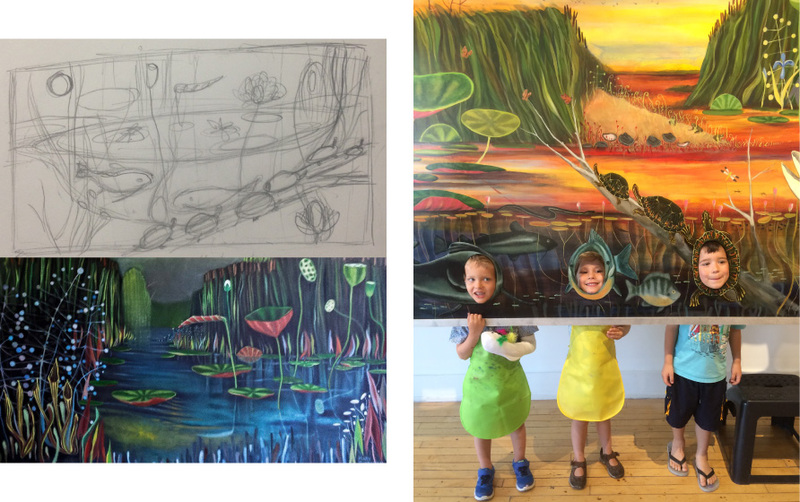 The Studio is the newest addition to the Holland Area Arts Council! 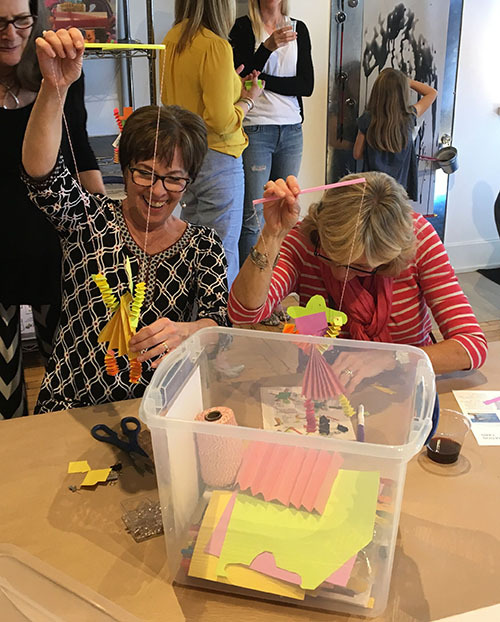 Discover the principles of art and design through play, self-guided art projects and interactive installations for kids ages 1 to 99. 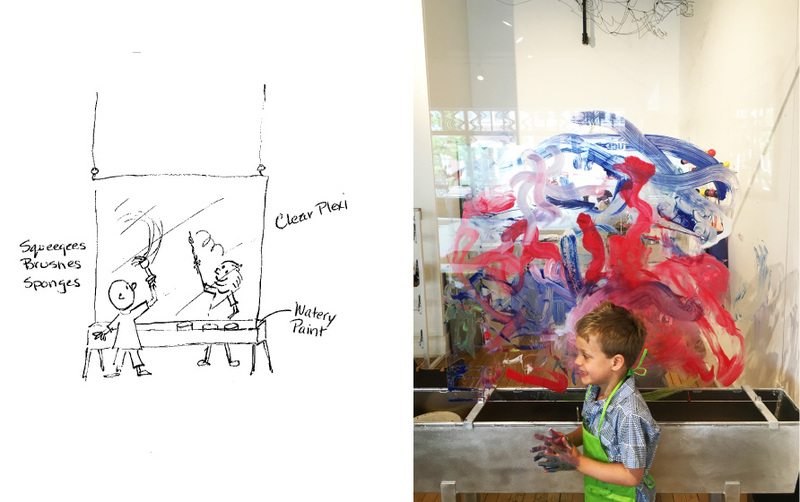 ​The Studio invites you and your family to look, play and learn, exploring the world of art and design with us! 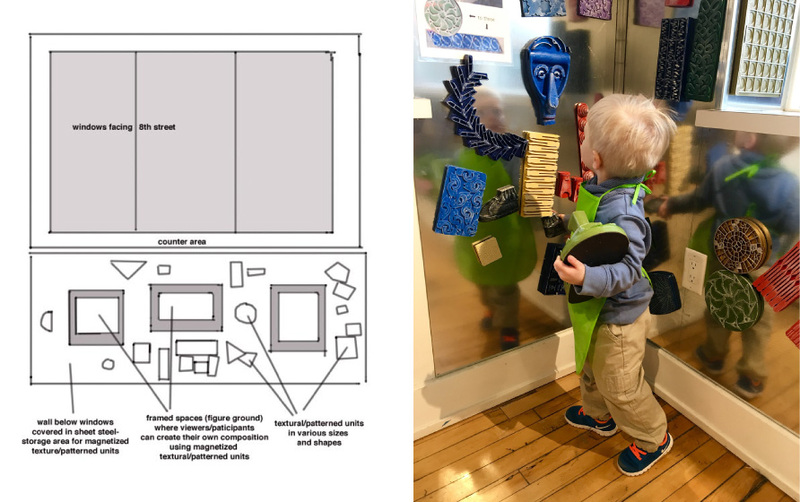 Walk in and find interactive installations designed by local artists and designers. Tables full of art supplies, projects, and activities invite visitors of all ages to explore and create! Imagine a wall filled with blocks of found objects by assemblage artist, Doug Lowe, ready to be used as stamps, print blocks or rubbing surfaces - or just arranged in whimsical patterns. Picture a gorgeously painted environment in the style of Rousseau - then imagine yourself transported into Mary Sundstrom's painting! 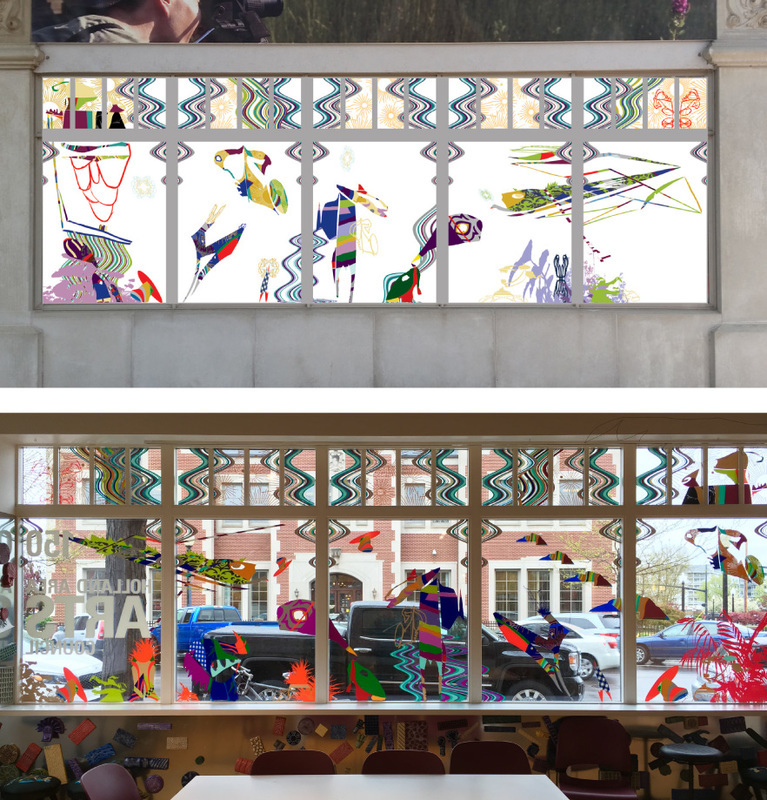 Envision a fantastical explosion of Line, Pattern and Rhythm cavorting across our windows with artist, James Cogswell's "Our Spinning Toys" installation. 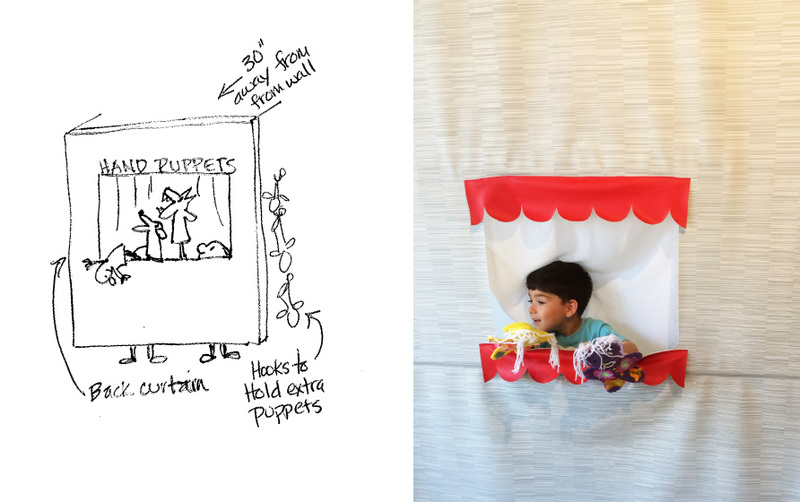 Visualize a puppet stage that invites you to explore the long history of the art of puppetry and experience the thrill of bringing your own hand-made puppets to life. Weave a fabulous rope snake with our giant "Knitting Nelson" created by Cody Freestone. Explore our MAKE IT! 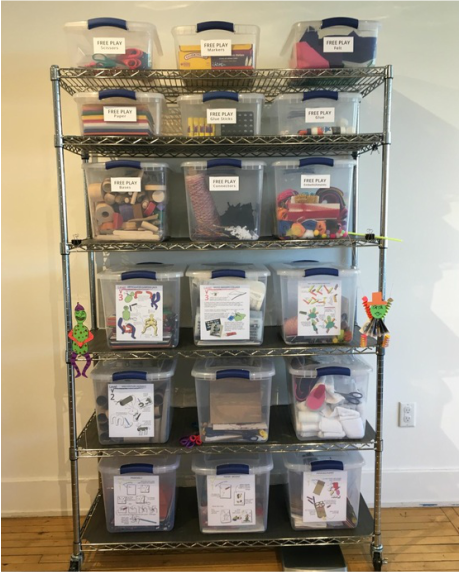 Wall with boxes filled with a variety of projects for every age based on quarterly themes like paper, color and wood. The Studio is designed to be a living, dynamic space. We're always working on new installations to spark your curiosity, and we're consistently rotating art projects on a quarterly basis. Watch out for updates on these new pieces! 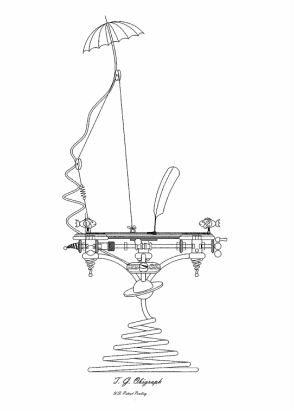 ​Portable “carts” that, when opened up, contain everything needed for a particular art project. And they are so mobile that we can wheel them onto the street and have Art-to-Go!! Picture an ice cream cart with creativity inside!!! The Texture Cart – Providing various textured surfaces for making the most basic of prints – the rubbing. The lesson: that texture is the quality of a surface and that a rubbing can create textures on the paper. Thanks to a grant from the Holland Zeeland Community Foundation, and assistance from Louis Padnos Iron and Metal, K2 Metals, Holland Bar Stool, Cramer, National Endowment for the Arts, DSA International Herman Miller Cares, Rotary Club of Holland, and Glass Enterprise.